It is always best to ask about payment plans or programs that help with medical expenses before a debt becomes delinquent. Unpaid medical bills carry damaging and unpleasant consequences. Unfortunately, sometimes you just do not have the money available to pay off the debt. In some cases, you may not even know about the debt. Although medical debt is a common problem, it is not overlooked by the credit bureaus or the courts. Unpaid medical bills are eventually reported to the credit bureaus. The amount of time the doctor or medical facility waits before reporting the debt will vary. Bankrate.com estimates most medical providers forward bills to collection agencies within 90 to 120 days. The debt will appear as the entire balance you owe, along with late fees that you may have accumulated. According to Bankrate.com, medical debt is the most common type of collection account. Although you may have heard the myth that medical debt does not count against you, all negative accounts appearing on your credit report will lower your score. Collection accounts can remain on your credit report for at least seven years. If you do not pay your medical bills, medical providers may attempt to collect the debt in-house through their billing department. If they are unable to recover the money you owe, they will likely sell the debt to a third-party collection agency. Debt collectors use more aggressive tactics to collect the money, including persistent phone calls and letters. The Fair Debt Collection Protection Act is designed to protect you from abuse or harassment from third-party debt collectors. For example, a debt collector cannot discuss your debt with your employer, family or friends. If your medical bills remain unpaid, they can accumulate interest and late fees. Although you may attempt to negotiate the debt, your creditor might require you to pay off the entire balance. Several states limit what hospitals can charge for services, including California, Illinois, Minnesota and New York. Some states also cap the interest rate charged on medical debt. For example, Minnesota limits interest to 8 percent. What Happens to Unpaid Medical Bills? Can Debt Collections Less Than $100 Be Reported to the Credit Bureau? 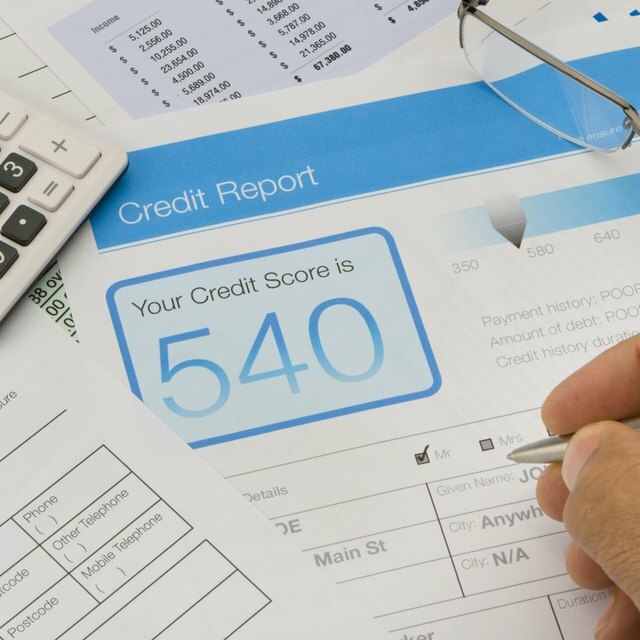 When Delinquent Accounts Are Removed From a Credit Report Does It Improve Your Credit Score? Unpaid medical debt can lead to a lawsuit. If the doctor, medical facility, hospital or debt collector sues, they may obtain a judgment from the court. If the judgment is in favor of the creditor, you will be required to pay the debt. The debt can be collected within legal means, which varies based on state law. Recovery methods can include garnishing wages and levying assets. Bankrate.com: How Will Unpaid Medical Bills Hurt Credit?